Yes, the Honeywell Lyric thermostat can be controlled using Apple HomeKit. If you wish to accomplish this you must make sure you have the 2nd generation Lyric thermostat which is part number TH8732WFH5002. The reason why is because the 1st generation Lyric thermostat is missing a necessary internal chip and common wire "C wire" terminal that allows for compatibility with Apple Homekit. If you don't have the 2nd generation Honeywell Lyric thermostat than you will need to replace and purchase the 2nd generation thermostat to gain these features. 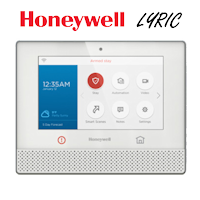 Once you have installed the Honeywell Lyric 2nd generation thermostat into your home or business the next step is to connect to the Lyric App. After you have successfully connected to the Lyric App this is what will allow your Lyric thermostat to be controlled by Siri and the Apple HomeKit. Click the PDF document below to show you step by step instructions on how to Install your Honeywell Lyric thermostat with Apple HomeKit. 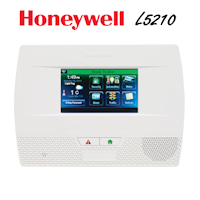 The Lyric thermostat is not just a standalone Wi-Fi thermostat Honeywell has developed a whole wireless connected platform around the thermostat. The Lyric wireless connected platform includes a whole line of encrypted security products and at the front line of the Lyric security system is the Lyric Controller. 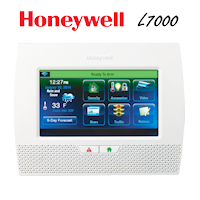 The Honeywell Lyric controller is the main control panel for both security and home automation features and has built upon many years of Honeywell wireless professional security systems. 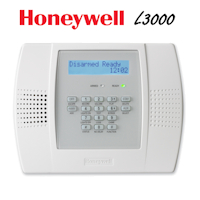 If you want to Learn more about the Honeywell Lyric security system Click HERE.